Farah Chemists approached Guerilla to update and reinvent the brand to effectively communicate to their audience, whilst promoting a clear and consistent brand identity. The marketing within the rebrand places Farah Chemists at the very heart of the local community which we reflected in the evocative image styles, depicting real people in real situations. 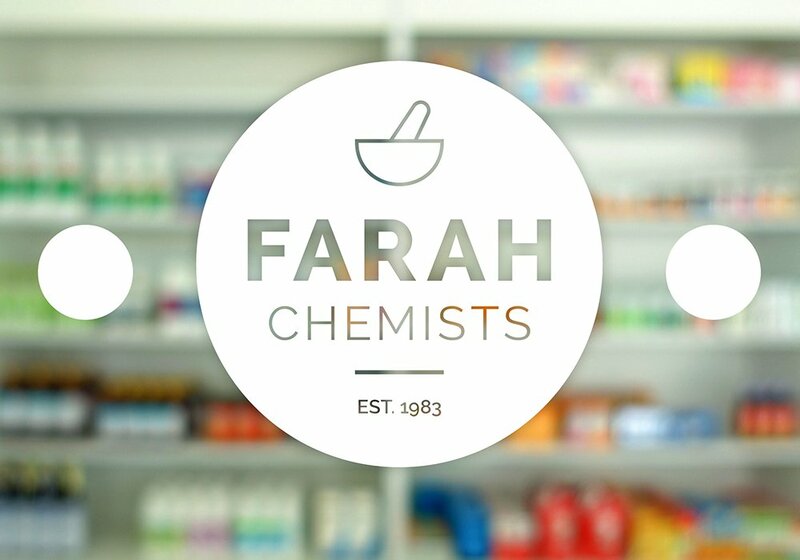 The key aim of the rebrand was to provide Farah with a fresh and vibrant new feel to ensure they remain current within the pharmaceutical market. Whilst updating the brands logo, graphics, image style and pharmacy store design, we ensured the brands core values remained a focal point throughout the design process. Damien Hirst’s ‘Pharmacy’ paintings and prints provided inspiration for the vibrant palette we used to rebrand the store interior. The palette gave the brand a cool, clean and fresh aesthetic which we maintained whilst creating the website and supporting graphics.